You can come to St. Petersburg by plane, train, coach, car and ship. St. Petersburg is well connected with most of European and some Asian countries by air routes. 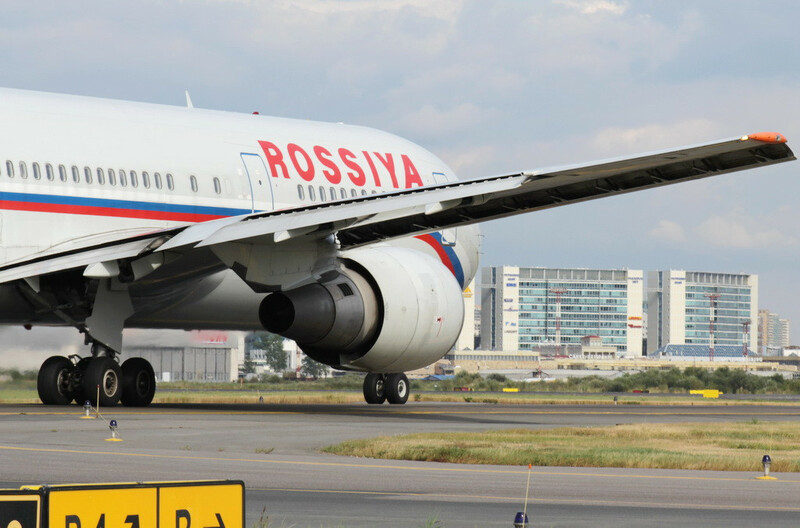 In case there is no a direct flight you can use connection flights via Moscow, Helsinki (the most popular options) or most of European capitals. All flights are being served by Terminal-1 of St. Petersburg Pulkovo airport located 10 km away from the city. Here attention, please. Till December 2013, St. Petersburg’s airport operated two terminals, Pulkovo-1 and Pulkovo-2, which are now closed. You now arrive and depart only from newly-built Terminal-1. Pulkovo-1 is embedded into the Terminal-1, Pulkovo-2 is no longer operating. About Pulkovo airport you can read here. To get from airport to the city use bus lines №39, №39A (Pulkovo — Moskovskaya subway station without stopovers) and marshrutka (commercial mini-bus) №39. Travel time between Pulkovo airport and St. Petersburg is about 25 minutes. There are no night lines. To get a detailed guide on how to get to / from Pulkovo read our post here. Saint Petersburg can be easily reached by trains from Central Europe countries as well as from the Baltics, France, Germany and Finland. Direct trains come from Vilnius, Tallinn, Riga and Helsinki. Moscow is linked to St. Petersburg by numerous train routes both overnight and daytime with carriages of different types and fares. There are about 20 trip choices from the cheapest common car to a luxury accommodation with shower in a compartment. High-speed trains (Sapsan, see picture above) are also available several times a day in each direction. 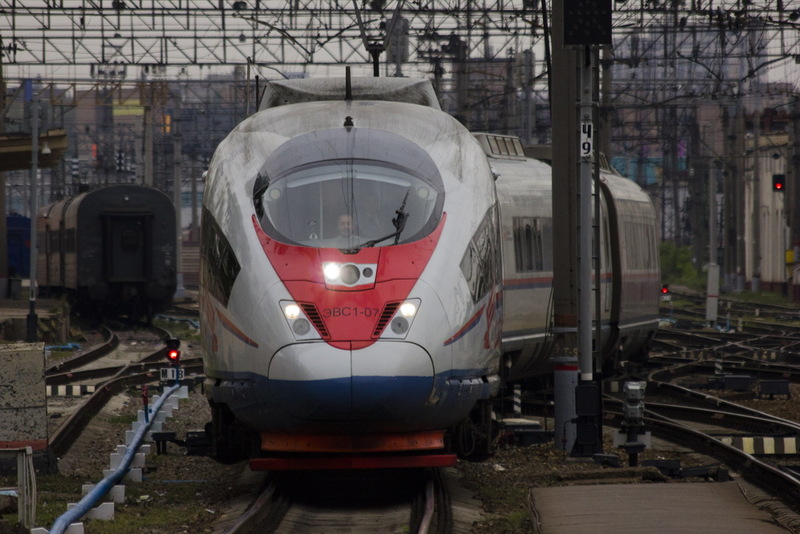 For buying railway tickets in Russia use the website of the Russian railways company: http://pass.rzd.ru/main-pass/public/en or tutu.travel service. Travelers from the Baltic countries, Central Europe come to the Vitebsky railway station, the Allegro train from Helsinki, Finland, comes to the Finlyandsky station, and the train Leo Tolstoy (Moscow – Helsinki via St. Petersburg) stops at the Ladozhsky station. Almost all trains from Moscow arrive at the Moskovsky station with only one from Moscow to Murmansk coming to Ladozhsky. Commuter trains which are often the most comfortable way to get to nearby towns with their superb landmarks (Vyborg, Gatchina, Pushkin, Ivangorod) are operated by the North West commuter passenger company. For detailed information on St. Petersburg railway stations and railway transportation read our post here. There are direct coach routes connecting Saint Petersburg with the capitals of Finland, Latvia, Lithuania and Estonia with travel times of just a few hours. It’s the cheapest way to get to St. Petersburg from the neighboring countries. Of course, you can also come from other countries, for example, Germany or Poland, though not sure it’s the most comfortable way. 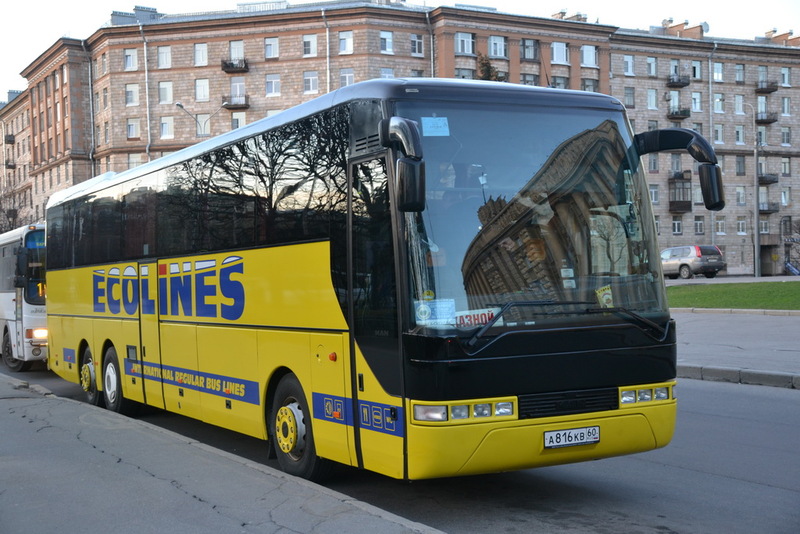 The routes are operated by a few coach companies, among which two international providers Ecolines https://www.ecolines.net – namely Ecolines, not Eurolines! Buses arrive at different spots in the city’s center near the Baltiysky, Vitebsky railway stations and at the Central bus station. 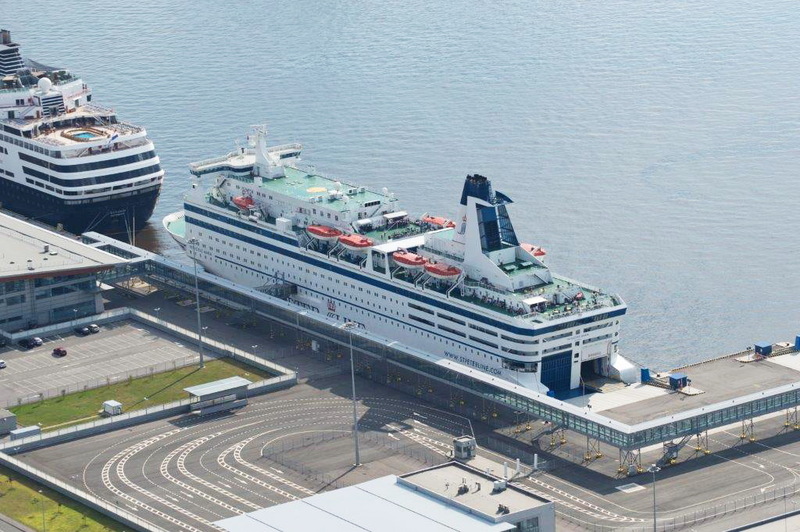 Ferry operator St. PeterLine runs one line connecting the city with Helsinki (Finland), Stockholm (Sweden) and Tallinn (Estonia) https://stpeterline.com/. In 2017, the operator departs from Helsinmki every week as of April. Many tourists come here within their cruise tours enjoying with a visa-free walk in the city. Luckily located at an infall of international transport corridors, St. Petersburg is easily reached by car from the Baltic countries and Finland, for example, just a few hours from Tallinn or Helsinki. By the way, from these cities you can use a ferry (see information above). Though we’d not recommend auto as the quality of Russian roads cannot be considered as of the highest level. Moreover, crossing borders seems to be stressful sometimes because of the limited capacity of border establishments coupled with increased traffic on holidays and in the warmer months. Road from Moscow to St. Petersburg where a trip takes about 6-10 hours depending on traffic intensity is a good test for your nervous system and driving skills. Especially, we wouldn’t recommend this in the winter.